Born at Vercheres, Quebec, and graduated from Joliette College, he came to Manitoba from Montreal around 1886. He worked in a government job for a time then became secretary-treasurer of St. Boniface. 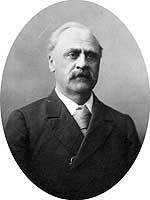 He later practiced law and served two terms as Mayor of St. Boniface, the first in 1907. He and wife Alexina Pariseau had nine children: Graziella (b 1875), Alice (b 1878), Annette (b 1881), Zotique (b 1882), Romain (b 1885), Jacques (b 1891), Aime (b 1893), and Armand (b 1898). A severe stroke in 1914 left him permanently disabled. He died at his St. Boniface home, 472 Des Meurons Street, on 25 August 1921. “Ex-Mayor Bertrand of St. Boniface, Dead” Manitoba Free Press, 25 August 1921.